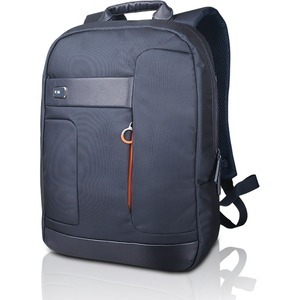 The Lenovo 15.6" Classic Backpack by NAVA (Blue) is a stylish bag that more than delivers - there's a pocket or zipper for everything including your phone, business cards, pens, and systems. Ergonomic straps with proper air flow make it easy to carry your bag all day, every day, and anywhere, all while looking great. Made from polyester material for a strong and durable design.